Mark Zuckerberg is the founder and CEO of the online social networking website Facebook, which he created while he was a student at Harvard University in 2004. Facebook is a social utility that helps people communicate more efficiently with their friends, families and coworkers. 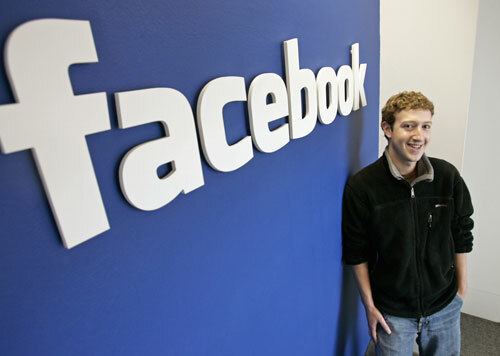 Mark Zuckerberg is responsible for setting the overall direction and product strategy for Facebook. He leads the design of Facebook’s service and development of its core technology and infrastructure. Mark Zuckerberg attended two years of high school in his home town in New York an then transferred to Phillips Exeter Academy, a college preparatory school in New Hampshire. While he was there, he built a music recommendation system called Synapse and a peer-to-peer client called Wirehogthat would track a user's music preferences and craft playlists based on his or her taste. He was recruited by several major companies, including AOL and Microsoft, but decided to go to college instead. He’s a fan of the comedian Andy Samberg and counts among his favorite musicians Green Day, Jay-Z, Taylor Swift, and Shakira.